Need & Market for Machine Monitoring Expanding - SFA Inc.
Machine condition monitoring is becoming a huge need on the shop floor. But don’t just take our word for it! Machine monitoring is expected to expand to a $3.4 Billion industry by 2022. The United States is the largest market for it. This stunning estimate is from a December 2017 Study on the Global Machine Condition Monitoring Equipment Market. “Over the years, the rapid proliferation of machine automation and breakthrough technology improvements in machine capabilities, have created the need for monitoring systems,” the study from Melvin Bright, a market research company, states. 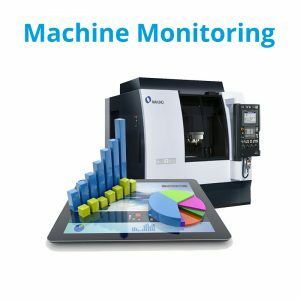 The study states that while only 25% of large manufacturers were requesting machine monitoring 15 years ago, the number is closer to 50% as of December 2017. “Diligent tracking of the progress of equipment deterioration also aids in more effective equipment maintenance, repair, and replacement strategies,” the study continues. If you want to experience these benefits firsthand, be sure to contact Shop Floor Automations for our machine monitoring solutions. Call (877) 611-5825 or fill out a contact form.